I'm working on a few city-related projects whose deadlines are fast approaching. 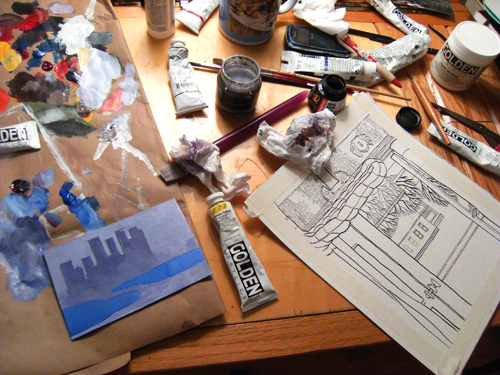 Last night I pulled out the paints and ink and a few pieces and sat down to work. Computers are wonderful things, and they are excellent tools for making art. Still, after a few minutes into actually painting, with actual paint, I can't help but feel one medium is superior to another.